Posted in 2013 Team Previews. Alright NFL fans, answer this question: Who was the first NFL team to play in Chicago?? The city where George Halas, long thought of as the NFL’s founder had his team?? Yup that’s right The Arizona Cardinals when they were the Chicago Cardinals and the Bears were in Decatur Illinois. You missed that?? Well the Bears were the Decatur Staleys back then. 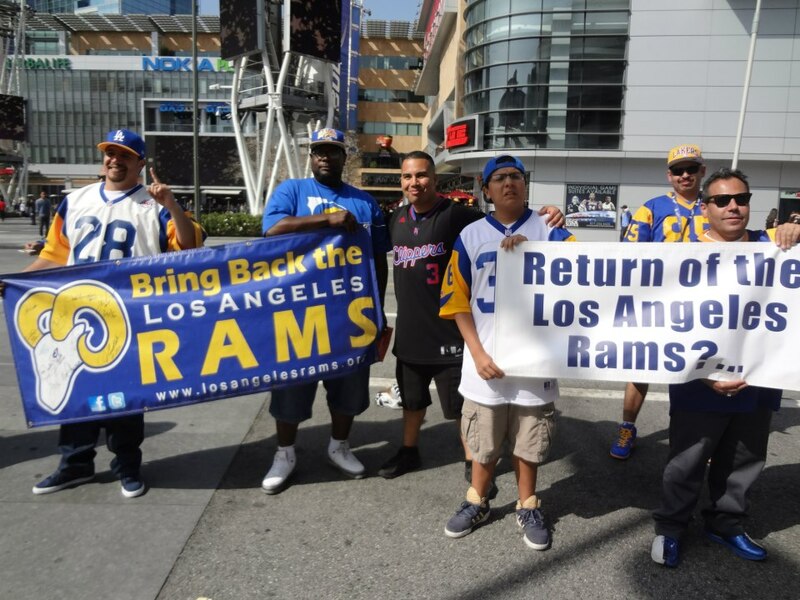 What made us think of it was joining the Facebook group Bring Back the Los Angeles Rams and it made our CEO ponder: Why isn’t there a group asking to bring back the Cleveland Rams?? or the St Louis “football” Cardinals?? Bring Back The Rams. Booster Clubs still exist. Its crazy when you find out you’re the rebound boyfriend or girlfriend, but that’s the scorn left in the wake. You weren’t the original love nor were you the person once love blossomed anew. You’re just the one without. Its happened to NFL cities and it’s ironic that St Louis and Los Angeles both sat in this cauldron of long forgotten feelings. For once upon a time, the Chicago Cardinals battled with the Bears, who moved in from Decatur in 1920 for the hearts of the city of broad shoulders. George Halas and the Bears won that particular battle and the Cardinals moved to St. Louis in 1960. Then the Bidwell’s moved the franchise again in 1987 to the city of Phoenix. Before the Los Angeles Rams moved to St. Louis there were fans there that missed their football team. Yet the internet wasn’t in full bloom nor was there a mass media outlet to show this missing sign of support, but it existed. Otherwise why would Georgia Frontiere move the Rams there before the 1995 season?? Then you had the Cleveland Rams who never dominated the landscape of the NFL, have a powerhouse of a team in the Cleveland Browns playing in the rival All American Football Conference. A precursor to the American Football League. This was the late 1940’s when America had just returned home triumphant in the second world war and began to enjoy pro football as entertainment that would soon rival baseball. How do we know this?? The ink hadn’t dried on the Potsdam Declaration ending WWII when the AAFC was formed in 1946. In four short years the Browns dominated and won all four championships before the league folded and were absorbed into the NFL along with the 49ers and Baltimore Colts in 1950. 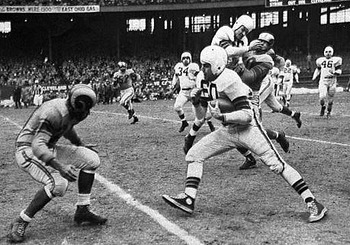 Hall of Fame quarterback Otto Graham tries to avoid a Ram defende in the 1950 NFL Title Game. The forgotten aspect of both situations in St Louis and Los Angeles is they were not the first city these teams played in. They were the rebound fling and Angelinos are pining for the Rams to come back west. Yet where was all this support when the Rams were in Anaheim?? In 1994 the Rams hosted the Los Angeles Raiders, in the last year both teams were in Southern California, their game drew 60 K but 2 weeks later drew a home crowd of only 34,000. Yet like a scorned love those fans wish for their lost team to come back to them and forget how little support was shown when the relationship existed. 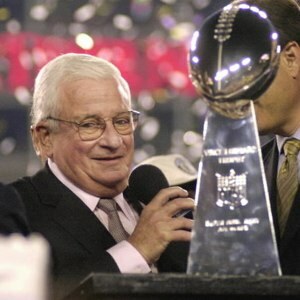 Art Modell being presented with the Vince Lombardi Trophy after winning Super Bowl XXXV. St Louis had their pining for the departed Cardinals filled after just 8 years when the Rams moved east for the 1995 season. In 44 years in Los Angeles, the Rams won only 1 NFL championship in 1951, yet only made St Louis fans wait just 4 years before The Greatest Show on Turf took the title in 1999. Those fans in Los Angeles were the first to watch their former team win a Super Bowl championship in a new city. The following year it was Cleveland’s turn as they watched the Baltimore Ravens win Super Bowl XXXV. Former Browns fans watched with horror as the late Art Modell hoisted the Lombardi Trophy just 5 years after moving to Baltimore. Here is the real issue… The NFL thrives as an entity because of the revenue generated from television more than it does from the gate. The gate is important but a team is nothing more than a company and if the gate isn’t there, it will seek greener pastures. The teams split that gate 65/35 for the home and away teams. The personal seat licenses (PSL) and luxury boxes are the revenues that a team can keep to themselves. Hence we saw the boom in new stadiums from the mid 1990’s on. The other revenue streams a team can keep to themselves are the stadium naming rights, parking, and concessions. If the team can’t draw fans to the stadium, they will fall behind their competition when it comes to financial competitive balance. You do want your team to sign that free agent tackle next year…right?? At one time it was thought the NFL needed Los Angeles, with the nation’s #2 television market, to have a team. Our CEO contended then as he does now that it doesn’t. We just kicked off our 18th NFL season without a team in Los Angeles and it doesn’t seem to bother Vance Lockett who is watching games on NFL Sunday Ticket in Columbus, Ohio. Yet to the attending fan cheering for their team living where they have the chance to go to the actual games. Go when you can. The rules are set up to get you to the stadium in the first place. In a direct television market, NFL city with a team, you are only guaranteed to be able to watch the road games in a particular season. Any concurrent broadcast of another game on the other network, Fox or CBS, will not be shown because you belong to that team. Hence a week ago The Chancellor of Football was stuck watching the Cardinals face the Lions instead of the Manning Bowl in New York… So instead of the 3 free broadcast games you only get 2 before the Sunday night game. You only get to see the home games in those NFL cities if the game is sold out. This is when you hear of the “blackout being lifted” in television jargon. They’re figuring is: Why watch it on television when you can go down and pay your way to see the game?” So while our CEO (in Columbus, Ohio at the time) was able to watch and record the 1992 Wild Card Game, where Buffalo came from a 35-3 deficit to beat the Houston Oilers 41-38 in the greatest comeback in NFL history, people that lived 3 blocks from Ralph Wilson Stadium did not. The game wasn’t a sell out. Just like those forlorn fans that pine for teams that once were in Cleveland, Los Angeles, St Louis, Houston, and especially Jacksonville for that matter: Get to the stadium and go watch a game! If that team gets down financially and decides to leave, it’s gone and it’s gone forever. Ask those Houston Oiler fans or even the Rams fans pictured about the despair that replaces the cheers once the team plays elsewhere. Los Angeles is nothing more than a bargaining chip for NFL teams to leverage their present cities and our CEO doubts the NFL ever returns there. Los Angeles is an overpopulated aging decaying city that is destined to feel old. Along with the fact there is no space and it would be cost prohibitive to build a new stadium, people in Los Angeles are front runner fans that won’t support a non winner. After the 1994 game when BOTH Los Angeles teams played and drew 65 K, the Rams attracted less than 60 K in the 2 remaining games combined. This is before we even talk about the travel restraints thanks to overcrowded freeways. Corporations know better than to take those risks and that’s what NFL teams are…corporations. Even the Chancellor of Football moved the Taylor Blitz Times headquarters out of congested Southern California to the beautiful clean open area of Glendale, Arizona. Why take the financial risk of moving to Los Angeles, when you can get between 10-15 million in the nation’s #2 television market to purchase NFL Sunday Ticket anyway?? You’d have more of a chance moving the Los Angeles Dodgers back to Brooklyn…oops we forgot those first reasons are exactly why the Dodgers left Brooklyn 56 years ago. See?? We’ve been here before. Richardson has been dealt to Indianapolis. 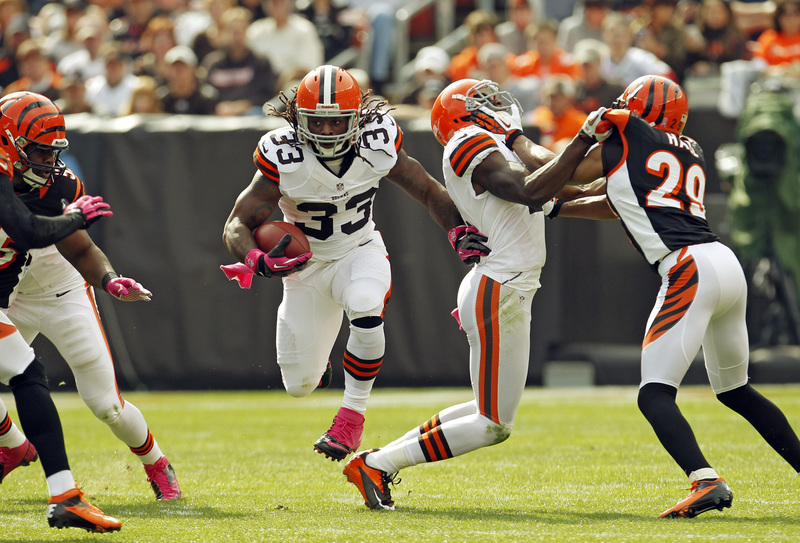 The NFL is still buzzing over the Cleveland Browns trading away Trent Richardson to the Indianapolis Colts. When this came across the wire yesterday our CEO recounted how heavy Brown’s brass attended the Texas A&M v. Alabama game last weekend. So naturally it brought about the question: What did Cleveland gain by making this trade?? For starters they get a #1 pick going into next April’s draft. Yet what does that say about this year?? The optimism of the Browns offense in the preseason disappeared as soon as the regular season dawned. They could only muster 10 points at home in a loss to the Dolphins. In that game Richardson had 13 carries for 47 yards. However it was Brandon Weeden’s 3 interceptions that were the focal point of the loss. The offensive woes continued in Baltimore where the team looked to bounce back against the Ravens. Now you have to remember this was a defense that was humiliated on national television as they gave up an NFL record tying 7 touchdown passes to Peyton Manning the week before. It was also on a Monday night, so the Ravens would appear to be vulnerable. Both in psyche and fatigue. Their performance in week 1 was so bad, that after holding Weeden to 227 passing yards in week 2, they’re still 25th in the league against the pass. Yet Richardson in another tightly contested contest, a 14-6 loss, was held to 58 yards on 18 carries. Something happened between these two games that convinced Cleveland brass they had seen enough. Sure Richardson has been nicked and had injuries here and there but what running back doesn’t? We watched Ray Rice go down with a hip flexor in the same game and the Ravens have Bernard Pierce taking most of the carries there anyway. We don’t see the Ravens making moves regarding Rice do we?? So what gives?? Jim Irsay was quoted as saying they have to protect Luck better. Neither Brandon Weeden or Trent Richardson are players selected by the current coach /gm combo. New Coach Chudzinski wants to put his stamp on the team and two weeks into his new regime, he fields the league’s 28th best offense with a runner that has 105 yards rushing. That isn’t going to get it done anymore than Weeden’s 1TD vs. 3 interceptions. They had to make a move right now with the most trade-able commodity they had to draft the quarterback of the future. Weeden has 14 weeks 7 hours and 32 minutes to show he is the future of the Cleveland Browns. If not, watch for the Browns to draft a Johnny Manziel and bring in a #1 receiver to go with him. The reality is the NFL and all teams function as a corporation. You acquire assets so that when it’s time for any liquidation, those assets still have worth. Ask yourself who would trade for a quarterback who is damaged goods psychologically like Weeden?? The Browns did what they had to do and with the performances of running backs drafted in the middle rounds lately (see Alfred Morris) and you realize they can duplicate Richardson’s performance for far cheaper. Sure this throws away the entire season for the Cleveland Browns but the question is: They are 0-2 now and lost to a Baltimore Raven team that was still staggering from a week one beatdown. How many wins were the Browns going to get with Richardson had he stayed?? When you have draft a quarterback number one you’re putting the franchise in his hands. Where Weeden is coming up short in Cleveland, in Indianapolis Andrew Luck seems like a decade long fit as the signal caller. Yet over the first two weeks of the season, the Colts are 27th in sacks allowed with 7 and 28th in quarterback hits allowed with 14. Or they were on pace to allow 56 sacks and 112 hits on the quarterback. This would probably get Andrew Luck knocked out due to injury at that rate. In comes a runner that should provide more physicality than Ahmad Bradshaw, who only has 97 yards on the season. Luck is just behind him with 76 yards running for his life. 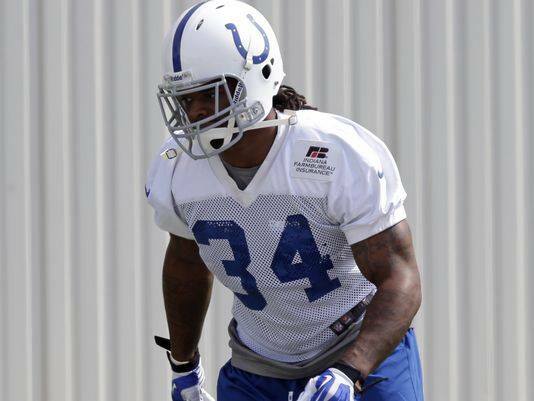 Trent Richardson reporting for duty with the Colts. Now they get a power runner free from teams stacking 8 man fronts on him with a quarterback that can complete passes downfield. 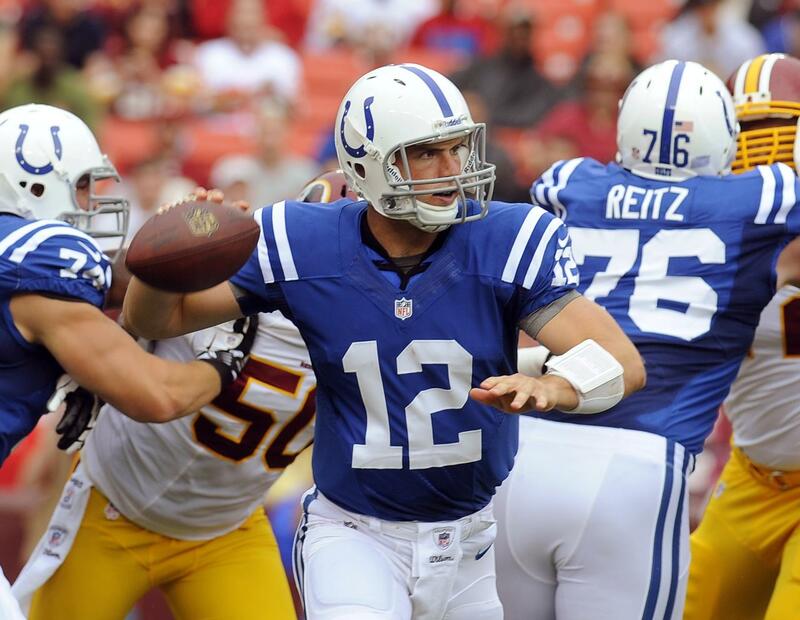 Luck in return has a running threat that can keep defenses honest. This should workout well for the both of them. As for the fans of Cleveland?? Sigh!! Say goodbye to the competitiveness of the 2013 season. The Browns will likely use the draft picks on Johnny Manziel and a stud receiver. Why overpay for a running back when so many are on the open market you can get in the 3rd or 4th rounds?? Only time will tell if they made the right move or not in the eyes of Browns fans. However in The Chancellor of Football’s eyes….brilliant move. Kill two birds with one stone. Admittedly we are a tad late on our NFL divisional predictions. On the eve of the biggest AFC North game for the Cincinnati Bengals for quite sometime, we have to go on record for how we think the AFC North will go. If you have followed our previews up to this time, Taylor Blitz was the first of the national pundits that had the Cincinnati Bengals going to the AFC Championship Game in a few months. https://taylorblitztimes.com/2013/04/16/2013-cincinnati-bengals-team-preview-slowly-building-a-winner/ That article was produced on April 16th, so we are talking before the unfortunate events with the Patriots and Aaron Hernandez. Before the suspension of Von Miller out in Denver. Right now the Cincinnati Bengals have a tremendous amount going for them, including returning the NFL’s 6th ranked defense. 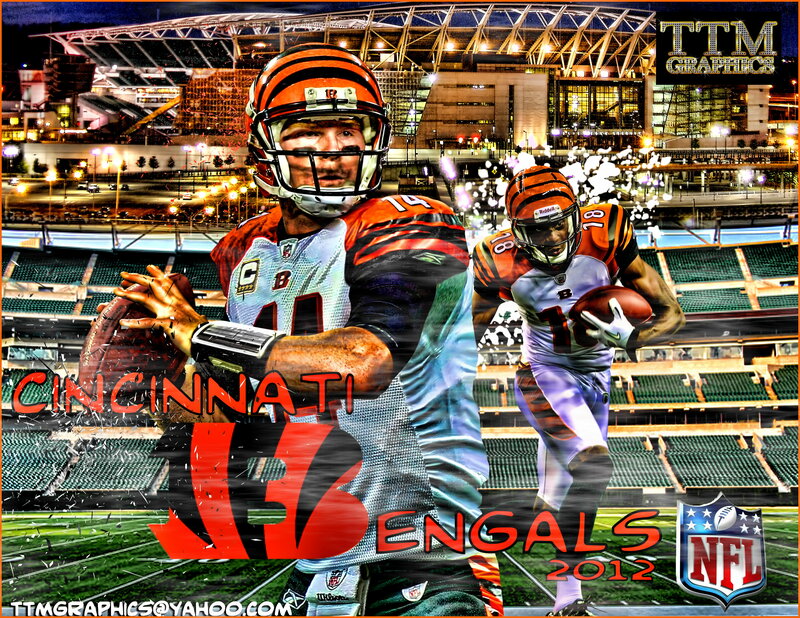 The Cincinnati Bengals should be the best of the AFC North in 2013. The only team to make it to the playoffs from this division this year are the Bengals. What we do know is Cleveland has improved on offense, if we’re talking about the preseason. They struggled against a rebuilding Ravens team that gave up an NFL record 7 touchdown passes to Peyton Manning in week 1. The Browns actually had scouts at the Texas A&M / Alabama game to scout Johnny Manziel who threw 5 touchdowns and scored 42 against the number one team in the nation. Current QB Brandon Weeden has 14 more games to prove he is the future or his job is gone next off-season. The Steelers are in the middle of a rebuilding year and need to indoctrinate several young players in the Pittsburgh mold. Understand this record was before they lost signal callers Maurkice Pouncey, Center, and inside linebacker Larry Foote to season ending injuries. They may fall further than 9-7 but the rest of the division might be too weak to take advantage. Which brings us to tonight. Former NFL commissioner Bert Bell coined the phrase “On any given Sunday” back in the 1950’s. Meaning that at any time a lessor team can take down one of the NFL heavies. It’s amazing how that has been through the years. Yet one of the items we say around here is every champion has building blocks to their championship mettle. One mission for the Cincinnati Bengals tonight is to prove to the Steelers, NFL fans, teams and most importantly to themselves that they are the team that rules the AFC North. Nevermind their loss in week 1 it starts tonight. That psychological building block to this team’s psyche begins in a few hours. Their mission, should they choose to accept it…. Now the season is off to a rollicking start, it’s time to finish up on our predictions for the course of the 2013 NFL season. One division that is going to see turnover at the top is the AFC North. It was long thought the Baltimore Ravens wouldn’t be the defense we had come to know with Ray Lewis, but to allow 7 touchdowns to Peyton Mannning?? Uh oh… might take some time for that defense to jell this season if they do at all. So who will win the AFC North and interrupt the hold at the top dominated by Pittsburgh and Baltimore the last 13 years?? The last two years have been a dress rehearsal for the Bengals in the NFL playoffs. This year they will do some serious damage as a division winner. They return the 6th best defense in the NFL before you factor in the addition of James Harrison. They were second in the NFL with 52 sacks, 4th in touchdown passes allowed with 16 and added players to bolster both those numbers. Andy Dalton, in year 3, knows his team and this division and will know his way around the NFL playoffs as well. The Steelers are in a short rebuilding phase and will have a few growing pains. However when you return with the #1 defense in pro football, you will be in a lot of games. The only issue is they don’t force turnovers like they used to. We also have to see how Mike Wallace’s absence holds back the passing game. With that defense and LeVeon Bell they will sneak close to the playoffs but will have to wait until 2014 to showcase what they can do. The Browns are a much improved team but still can’t compete at the top of this division. Trent Richardson will dominate this year where last year he showed some flashes. They really looked good in the preseason but we have to see how they respond when real bullets start flying. As for the Baltimore Ravens….sigh. We attended their funeral last Thursday when Peyton Manning baptized them with 7 touchdown passes. They were just caught in a vice when the offense went flat early in the third quarter. Yet the lack of leadership showed up when they couldn’t stem the tide. A season of growing pains awaits the Super Bowl champs. This was the best division in the NFL last year and this season shouldn’t disappoint. Lets face it,either the Seattle Seahawks or the San Francisco 49ers should make it to the NFC Championship Game and in many circles, have these two fighting it out for a trip to Super Bowl XLVIII in New York. How do we see it here at Taylor Blitz?? Sure the Rams did great within the division last year but that was with Steven Jackson and Danny Amendola powering the offense. Bradford will have growing pains again this year as the offense will struggle to find their identity. Expect to see many wasted defensive efforts this season. For the last month, The Chancellor has been able to watch the Cardinals defense up close. They could use a little more pass rush but this might be the best defense in the NFL going into 2013. 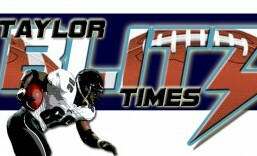 They return with runner up Taylor Blitz Times Defensive Player of the Year in LB Daryl Washington. Patrick Peterson is entering his prime and should be in the running for defensive player of the year himself. We’re just not sold on Carson Palmer as a leader but they will win some games in 2013. The Seahawks will be the class of the division. No one plays with the speed, spirit, and tenacity of this team. They were undefeated at home last year and the wins were more lopsided as the season commenced. Forty niner fans point to DE Bruce Irvin missing the first four games due to suspension and Percy Harvin the first half of the season due to injury. These guys are luxuries and will be there when the Seahawks make the stretch run. The only question is will they get home field advantage?? If they do…don’t forget San Fran lost 42-13 in week 15 up in Qwest Field. San Francisco will be a high scoring team this year and they need to be. The defense is still one of the best in the NFL but their secondary started to slide last year. In fact the secondary is the reason they lost Super Bowl XLVII to the Baltimore Ravens and now they have to replace Dashon Goldson. No easy task. Colin Kaepernick will stay ahead of defenses the first half of the season, but they will catch up to the 49er offense in the second half. Without Michael Crabtree, this team needs to implement some young talent on the outside. The saving grace for this offense is the front line and fleet of running backs to go with Kaepernick. They’ll also miss 2nd TE Delanie Walker, who lined up as an H-Back and was the lead blocker on many of Frank Gore’s power rushing plays. Both Seattle and San Francisco will be there until the end but it will be Seattle and that swarming defense that captures the division.